This time I made something different...a wall art with some die cuts of some beautiful papers from Mister and Master collection paper pack. 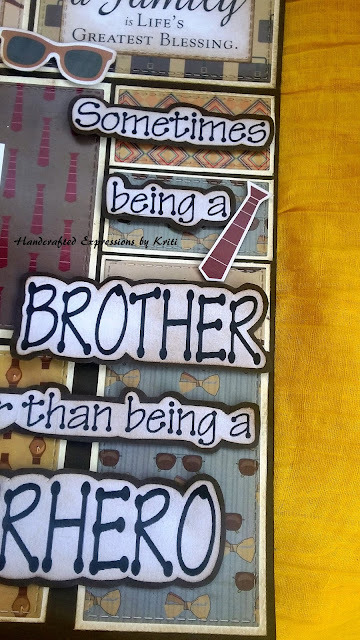 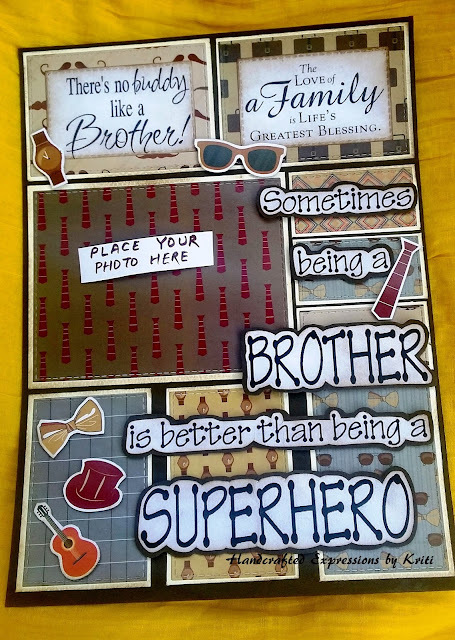 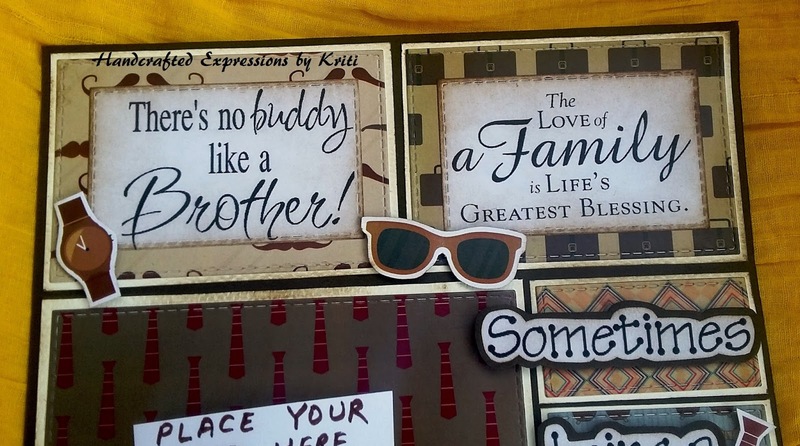 I had first cut some pattern papers with a rectangle stitched die in different sizes and mounted them on ivory cardstock....and then mounted all the rectangles over a brown cardstock.....both ivory and brown shades are going well with the shades of the pattern papers. 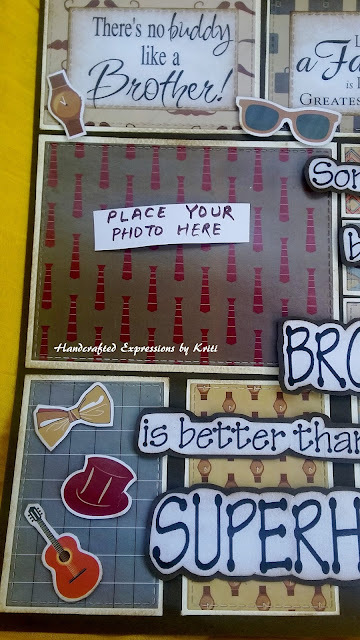 Next, I downloaded some digital stamped images, which are going with the theme, printed and distress them and finally pasted over the rectangles. 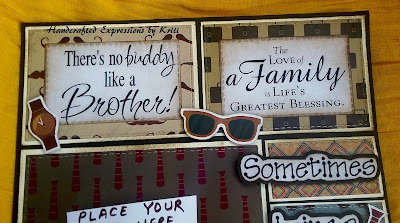 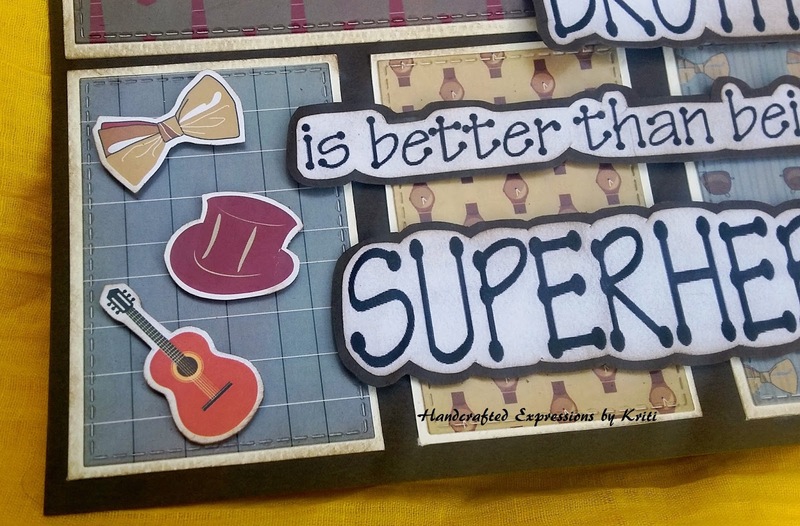 Embellished with the die cuts available in the die cut sheet of the paper pack.